What is the Beauty & Nail Salons Industry? Nail salon industry could be considered as a very typical industry that could use a lot of revenue management, regarding to : 1) the high fix costs and low flexible costs of producing, 2) the perishability of the inventory, 3) the easiness to control duration, and 4) the capability to manage demand by pre-selling and fencing rates. 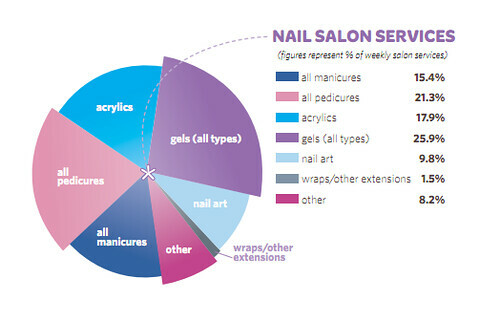 However, based on my research, “time” has been an implicit pricing component for most of the nail salons inside of the U.S., and in most cased, price are still being decided based on techniques and materials applied for a certain service. In the current industry practical, most of the prices are neither defined by space nor time. Instead, the price are defined by the service and material consumed. A widely accepted pricing method in the industry is that the product costs cannot exceed 6% of the service charge. To figure the minimum charge per service, multiply the product cost for each service by 16.5. The figure is the lowest possible price for a service. Rate fences that have been being utilized in the industry are limited. Some of the nail salons have already started to use last minute deal and early reservation to fence the rates. However, for most of the salons, no rate differences or slight differences will be charged by making early reservation and walk-ins. We can find some of the industry pioneers already moved their feet into the gate of revenue management and try to control its inventory by “selling” time or space, such as Isle Pedi. Even though no specific example was made, it has been said that some of the salons have already started to charge a flat “slot fee” plus an “add-on fee” for the services received. Several examples were selected to reflect the diversity of pricing policies and strategies. — Some, especially high end, salons would charge by nail instead of by hand, based on the costs of each nail and provide more variety in design. People have been trying out new stuff and reaching out beyond the industry to get inspired. I spotted a lot of good practices in setting rate fences, such as by gender and age, which are all very well accepted by the customers. Also some of the salons are taking good advantages of group selling by providing “manicure/pedicure parties” and therefore add more value in the service by providing princess/night club costumes and other entertainment services. Selling space explicitly or implicitly? Most of the nail salons are selling space implicitly. The price is decided mostly basd on the labor and material spent on a certain service. For example, one customer who received “polish changes” and “Gel” will not pay less than two customers who receive these two services separately, even though the latter requires two “slots” and the former requires one. Normally nail salon would separate the space into: reception desk, waiting area (both for drying the nails and for waiting for the next available tech); manicure area; pedicure area; and massage area/private room. Some, especially high end, nail salons also have retail area. 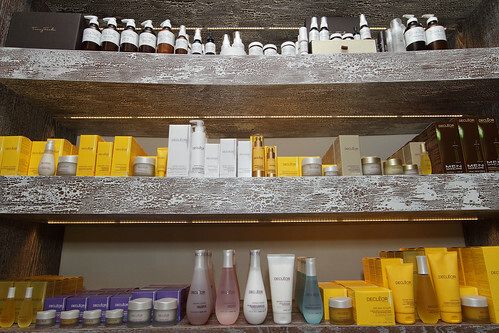 Among those areas, manicure area, pedicure area, private rooms, and retail area are considered revenue generating areas. To implement revenue management, the salon could define its inventory as “slot” and focus on improve “revenue per slot”, or as “square feet” and define the performance metric as “revenue per sq”. The latter one makes more sense to me, seeing as it includes the gross booth area into consideration and reflects the overall profitability of the salon. To divide the space into different layers could be a crucial approach to fence the price and maximize the profit. A higher scale salon requires bigger space for each “slot”, while a bigger “slot” should be charged with a higher premium to compensate the cost of space. As what we applied in restaurant revenue management, the space allocation should be balanced between the functionality and the profitability. Therefore, nail salons should not only divide the space by function, as what most of the nail salons are doing, but also should divide the space by service scales based on its customer mix and needs. One interesting finding is that, catering to the special needs of the “girls’ collectivism”, a lot of nail salons designed conjunction seats. 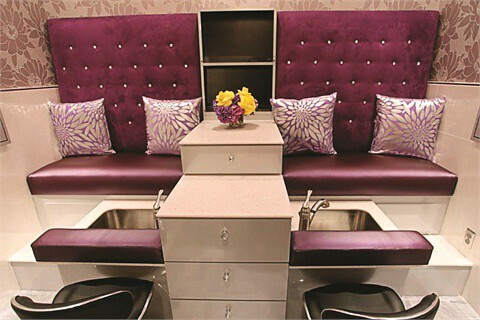 (http://www.nailsmag.com/article/94720/one-of-a-kind-spa-expands-to-three) As you can find in the picture, this seat conjunction is called “purple princess suite”, specially designed for two girl friends / couple/ parent-kid who would like to share their pedicure time with each other. The conjunction seats not only save space and therefore increase unit space revenue, but also cater to the certain clienteles’ special needs. You will not get one of those hot babies without making a reservation. Another large source of income could be from gift certificates. Clients will love them because they’re already packaged nicely so they make great and easy gifts. Gift certificates are the best advertising because they get someone new through the door. Yes and no. Nail salon industry has been selling the inventory ahead by making reservations yet traditionally the industry does not sell its inventory explicitly by time. As it has been listed above, different practices have been implemented to sell the time. Take Isle Pedi as an example, services around 45 minutes belong to one rate layer while services around 60 minutes belong to another time layer. Actually, a lot can be done to make the business more profitable once the business owners start to focus on utilizing their limited operation time on hand more efficiently. Therefore, the profitability efficiency can be measured by “revenue per half hour” or “revenue per hour”, whatever the smallest time unit is. By clearly defining and controlling the service duration, the business owners can make accurate forecast and sell the inventory by chunk with prices adjusted by demand. The suggestion is to study the history record made by your salon. How many customers you get by the Day of the Week, and how many reservations you got for each day compare to the walk-in businesses. Then we can implement the hotel room revenue management application into the forecasting and pricing for nail salon industry, to decide how many walk-ins to take, with what rate and alike. By realizing the significance of the time component in profitability, the business owners can also try to fill up the waiting gap in the process of service to improve the performance of revenue per time unit. A great example would be Le Posh (http://www.salonleposh.com/just-for-her/posh-packages/) As it is shown by the picture, Le Posh is providing manicure service while the clients are getting a perm. Worth to mention, Isle PediSpa did a great job with its pricing structure design. Everything is derived from a basic “45 min/$38 rate” service. Packages providing different callus work are priced with 5/10/15 dollar premium to the basic rate; also a quick 30 min variety, a kids variety, and a male variety are provided with slight price differences from the basic service; another price layer is the “1 hour” packages that are priced with slight differences around 60 dollars. A better rate fences: providing different booking windows, “good only when combination with”, or time limited deals. An even better idea would be a reservation center that collect all the demand and supply on a single platform, just like expedia.com for hotel industry. Time Range Bookings: Offer some guests the opportunity to receive a reduced rate if they can be flexible with the time they take their treatment. Last Minute Deals: Drive impulse and walk-in business to these times and turn what would have been idle labor expenses into reduced rate treatments. Controlled Discounting: Instead of charging a premium during the busy times, establish higher prices overall and provide variable discounts. Controlled Availability: Create booking rules to encourage high margin treatments during high demand periods. 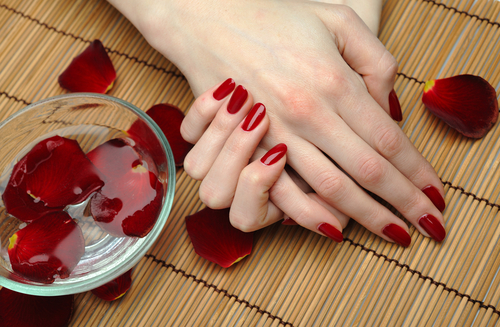 The key to revenue management for nail salon is how to do balance between price, space, and time to be in line with perishable inventory and variable demand. Therefore, as we discussed previously in this article, there could be a lot of combinations of practices to price the time and the space. 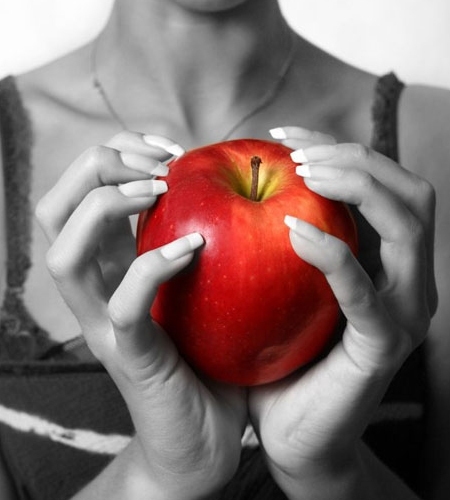 A lot of experiments and researches are waited to be done to find out the best practice. Will it be better to sell time explicitly while selling space implicitly? Or will it be better to sell both of them explicitly? The answer may surprise us when it comes to the real world in different market segments and different geographic locations. 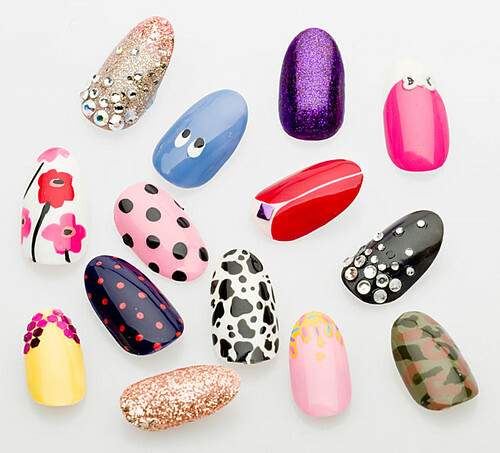 A “small” nail business could get pretty complex in the terms of pricing. Therefore to find out a way to deliver and explain the pricing structure to the customers is very important. I suggest the business owners to design a menu like the menu in a restaurant: for red curry base, you could have tofu, beef, seafood and chicken with slightly different prices; if you want brown rice instead of white rice, pay extra. In nail salons, we can have 45 minutes base and slightly different priced options; if you want celebrity brand instead of private brand, then pay a little bit of extra. Also, charging the customers by the space they take still sounds a little bit avant garde. It may raise the complexity of the pricing structure and hard to acquire acceptance from customers. Customers in a restaurant will be outrageous if they were asked for a “slot fee”, a “food fee” and a “service fee”. What we can do is to provide customers bigger and more comfortable chairs/sofa only when they choose to purchase a longer service and/or more expensive services, until the perceived fairness of being charged by space raised to a safe threshold. This blog shows how the world is being experimented with different innovations and how the far cry industries are being enforced by these latest techniques. This article on Microsoft Azure covers all the details regarding the latest invention of Microsoft and its impact on the academic growth of the students. Great article and perspective. Come to think of it, the nail salon industry is a monstrosity. One of the services women spend on, no matter how the economy is doing. Check out How to Activate Bluebird Card. Hello, my friend! I want to say that this article is awesome, nice written and come with approximately all important info. I¦d like to peer more posts like this. Hi your blog’s design is simple and clean and i like it. Your blog posts are superb. Please keep them coming. Greets!!! EventBH event management software solution provides a comprehensive set of tools to control, manage, analyze and modify the event app to generate maximum event ROI. EventBH business matchmaking app provides access to surveys, analytics, Q&A and automatic matchmaking process are available on your mobile devices. EventBH event management solution is suitable for all high-end large events. It is a comprehensive package of all important event management tools for event marketers. Upgrade your attendees and exhibitors experience by using lead retrieval software solution, which allows them to connect with potential prospects, add notes to their profiles and rate their business profiles as per one’s business needs. Lead Retrieval Tool by EventBH facilitates you to send emails and notifications to qualified leads in real time for enhanced business networking. You can rate and follow them anytime after the event. EventBH provides a powerful Event Management Software solutions to event marketers to simplify their event management tasks. It provides an end-to-end event management software solutions for all types of events. Comprehensive event management software solutions are available for event organizers at affordable prices. 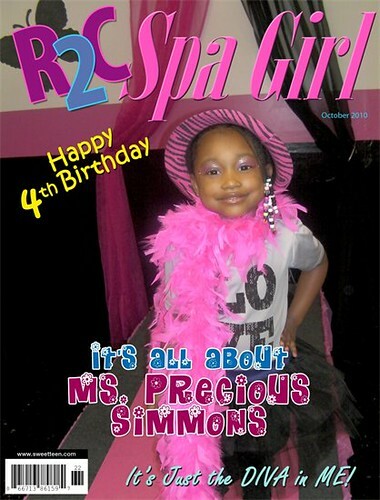 It is fully customizable to meet your event needs. Get complete lead management and data management operations handled seamlessly with our AI-powered event management software solutions. EventBH is providing a comprehensive online Event Check in App for event organizers to host trade shows, conferences, seminars, workshop events, all-round the year at affordable prices.